The Tusculum University campus in Greeneville, Tennessee features some of the finest athletic facilities in the country. Pioneer Lacrosse Camps are conducted at Tusculum’s grass practice field and indoor practice facility. 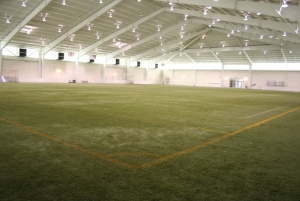 The indoor facility’s field turf surface is large enough to conduct a full team practice. Two rinks can also be setup in the facility for box lacrosse games.